Home » Reviews » Sachin: A Billion Dreams : Humanizing the God. 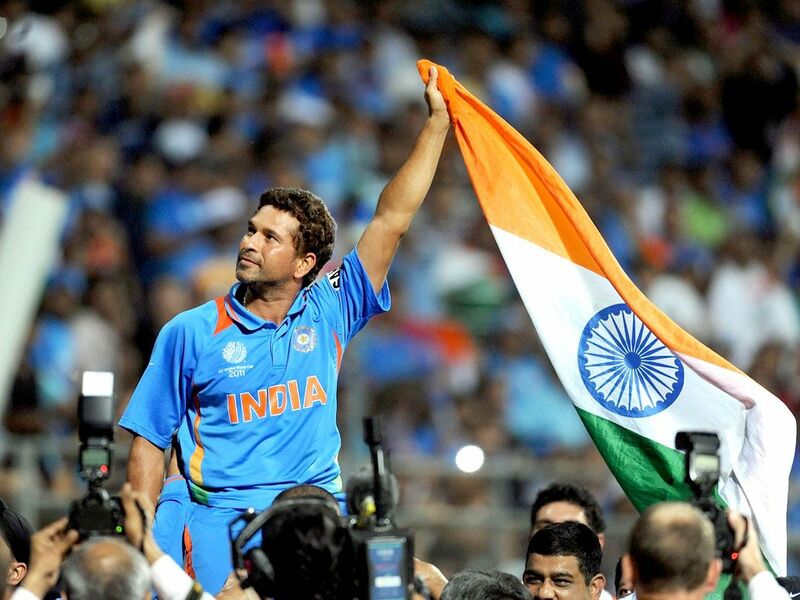 In a country where sport, essentially cricket, is one of the parameters of nationwide pride and patriotism, Sachin is obviously much more than a cricketer. He is an emotion, the single thread which connected 3 generations together cheering for one common hero. Anything I say will purely come off as one of those cliché we have repeatedly heard about Tendulkar and why not, he is the most loved person in the country, dare I say, definitely more than a Modi, a Bachchan or a certain Bhai. Sachin, a Billion Dreams is a closer look on the life of the cricket prodigy. The film begins from the time when Sachin didn’t even know how to hold a bat. As a cricket fan, needless to say, it was exciting because I could anticipate that there will be lots of cricket in the film, cricket we have grown up with. We instantly start rooting for the cute little kid with a certain hairstyle. The kid received his first cricket bat, a Kashmir willow his sister gave him, and I made sure I adjusted my seat well because the ‘show’ was now going to begin. After a few years of batting Practice, his brother Ajit Tendulkar takes him to Ramakant Achrekar, his coach, and we couldn’t be more excited. We know that he will be impressed but we don’t know how, we want to see Sachin do the magic, wondering which shot is he going to play. He does a yet-to-flourish cover drive, which made Achrekar ask for his name again and before the brother could say anything, the voice of Tony Greig plays in the background “Sachin Tendulkar, What a Player”. You know that voice and how he used to say that, don’t you? ‘Sachin a billion dreams’ is self congratulatory cinema of the highest order, which celebrates its subject at mere opportunities like that, but somewhere the fan, the admirer in you, enjoys that. It is the theatricality of the film when you see moments and hear sounds, sounds of a cover drive when the ball hits the sweet spot of the willow, sounds of half a million people chanting Sachin, Sachin is the point you lower your guard as a film critic, you can’t function anymore because now you are in absolute awe of a legend narrating how the 24 years of cricketing symphony unraveled, event by event, year after year. His growth as a cricketer was nothing short of a heroic tale. It was amazing to see how a young boy met his coach and how he nurtured him. Sachin used to bat all day long without getting out and at times, used to play multiple games in a day. 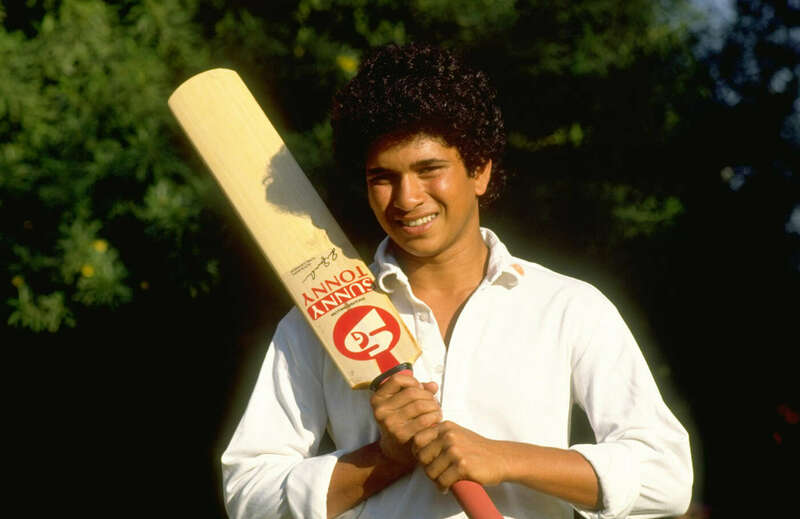 Within a couple of years, the 14/15-year-old Sachin Tendulkar was a known name in the cricketing scene of Mumbai, people who haven’t even met him by then knew of his existence. Sachin became an important name long before he had to face balls directed on his face by Akram and Waqar. Take the case of any cricketing legend and there will a part, dedicated, on how there was, first, a struggle to choose cricket and convince the folks around them about it. But when it comes to Sachin, there wasn’t any such struggle, he chose cricket, cricket chosen him and the universe conspired to make sure that Sachin turn into the cricketer he deserved to become. His Parents, his family, his distant relative and anyone he came in contact with supported him. It was like they all knew the history he will write, from the time, the kid held the bat for the first time. Having said that, I don’t intend to say that it was easier for him, it wasn’t. Sachin’s struggle was different. He got in young, cemented a solid place in the team and before he could even know, he was the most important player in the team, someone on whom the outcome of a match depended, throughout the 90s and the pressure it built on him, never seemed to go away. Although technically a docu-drama, I liked how the film kept the drama minimal and stayed, for the most part, a documentary. Featuring an array of interviews and voice over, it delves deep into the psyche of Tendulkar, telling what the man went through and how his thoughts processed during different crucial periods of his career, something which was terribly absent in Dhoni’s dramatic biopic. 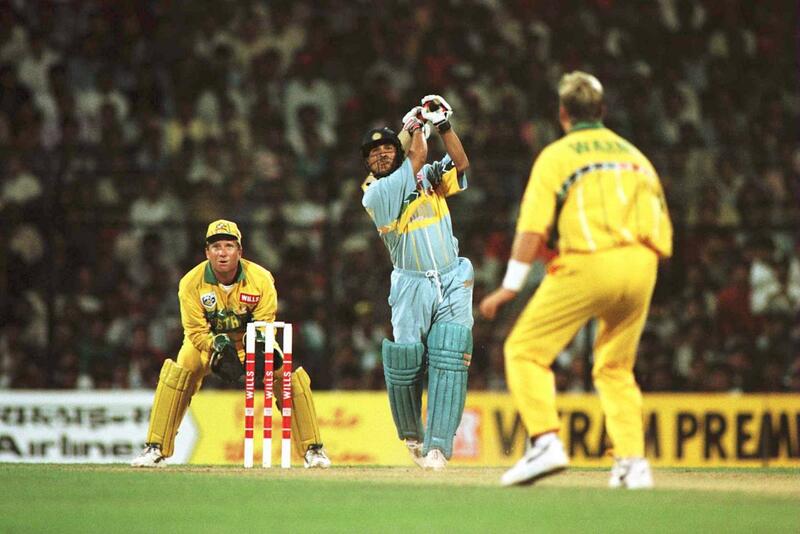 The film is told in junctures of the five world cup Tendulkar had been a crucial part of (barring the 1992 edition,). It’s a storytelling device which separates the film into several parts, each one tells us Tendulkar’s stature in the team and his state of mind at that point of time. We see how during the 1996 world cup, the entire team depended on a young Tendulkar and how the semi-final turned into a horror after he got out. We witness how the dynamics within the team changed and the whole politics surrounding it once he was offered the role of a captain. We see what the man went through when he lost his father in the middle of the 1999 world cup, the dark match fixing phase and the reemergence of a young team, we see it all all through the eyes of Tendulkar. Sachin, A Billion Dreams is essentially a humane film where they have tried to humanize the godly phenomenon Tendulkar is. It’s a film about a notorious kid who saw a dream and focused with a singular vision of playing the Indian Team and lifting the world cup one day. It’s a film about the kind of man Sachin turned out to be, in spite of all the humongous success that came his way. It’s a film which not only tells events of Tendulkar’s career and his personal life but how he changed the entire cricket scenario in India, what cricket used to be for us Indians and how Sachin’s arrival in the game changed us as cricket viewers. We see a 16-year-old Tendulkar, with a broken nose, saying “I am fine, I’ll play” and then goes on to score a half century against the deadliest bowling attack in the world. We see how he takes on Shane Warne during the famous 1998 Test Series and how the two back to back centuries in Sharjah made him the nation’s heartthrob, but my favorite bit from the film was the shot where we see Sachin, after losing his wicket, walking out at the 2011 world cup final and walks in Virat Kohli and the two had a little exchange, as if the master himself chose the man to carry his legacy. The documentary carefully picks its content, it knows what you, as a fan, would love to see. There aren’t too many icons in India, who can go on and have such a self-congratulatory cinema made on himself, but going by his comprehensive achievements, I think, Sachin can afford that extravaganza.